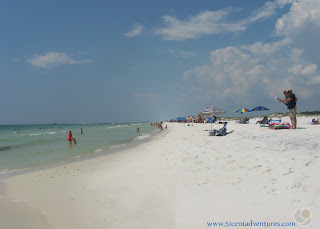 Description: The Destin Area of Florida is known as the Emerald Coast. The water has a beautiful greenish tint that contrasts with the pure white sand on the beach. Visitors come from all over to enjoy the many beaches on the Emerald Coast. 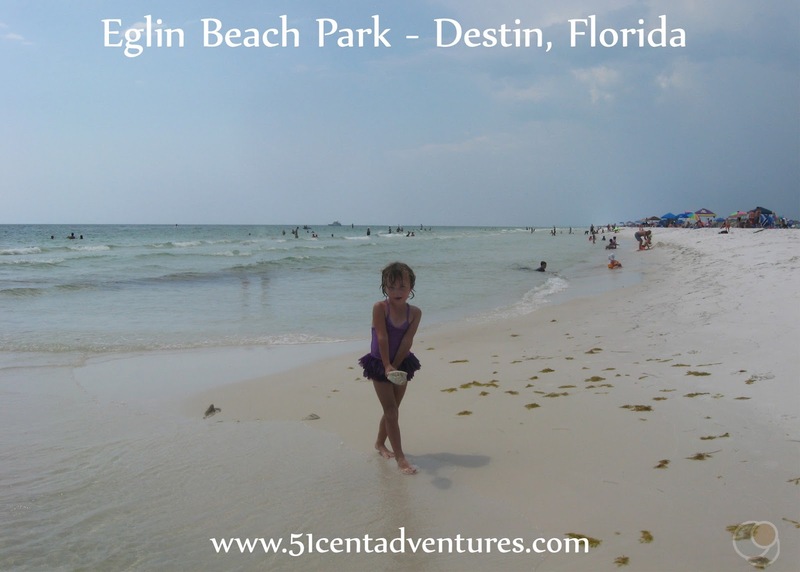 Eglin Beach Park in Destin, Florida is a private beach for all Department of Defense Personnel and their guests. Military members of all ranks and all branches of service are welcome at the beach. 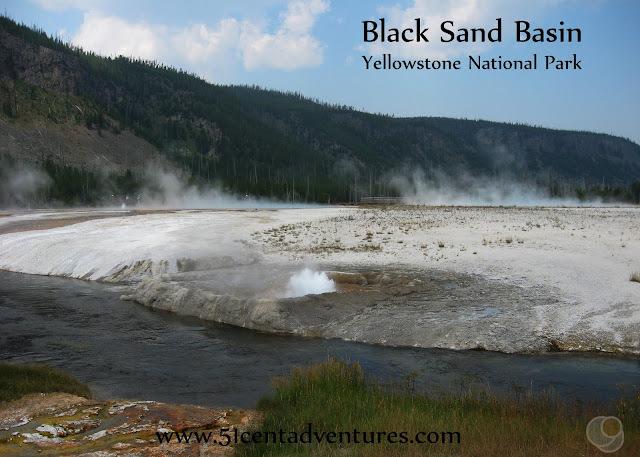 Retirees, Civilian Personnel, and Federal Facility Contractors are also allowed access to the beach. Proper ID must be shown upon arrival. 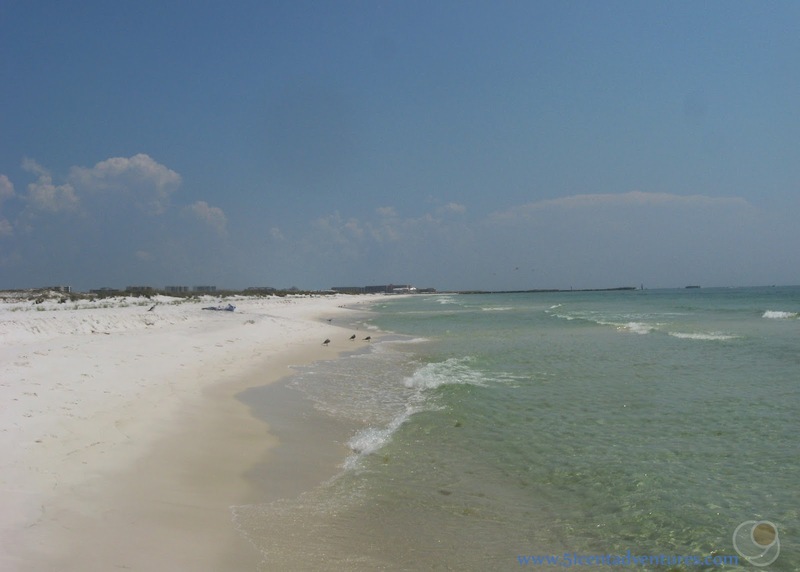 Location: Eglin Beach Park is located on Okaloosa Island just off of US 98. It is west of the main part of Destin and just west of the Destin Bridge. Cost: $3 per car on weekdays and $5 per car on weekends and holidays. You can purchase a season pass for $75 if purchased in April or May. The cost for a pass decreases as the season progresses. A pass purchased in June is $65, in July the cost is $55, and in August the cost is $45. Operating Seasons and Hours: The beach is open from April to October. 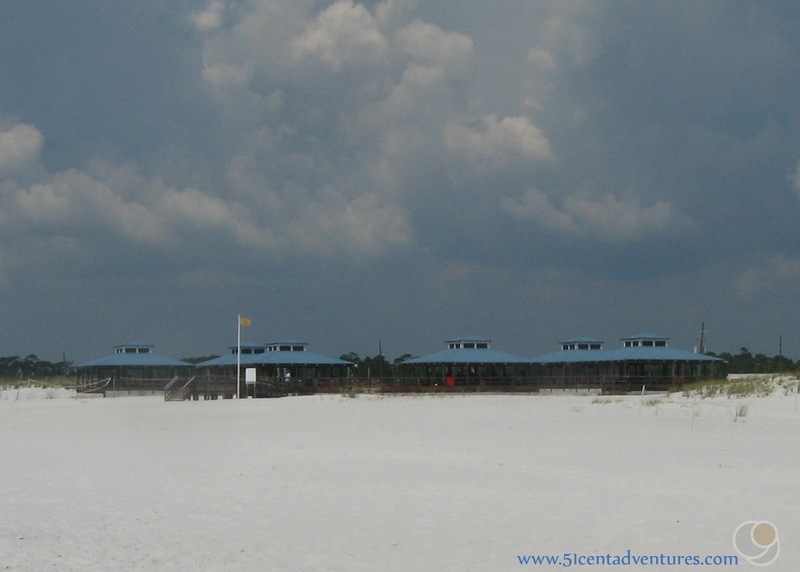 During the early and late part of the season the beach is only open Thursdays-Sunday from 10:00 am to 5:00 pm. During the summer the beach is open every day of the week from 9:00 to 8:00. Check the website for exact hours and days. My family moved to Alabama in May and so far we've already visited Florida's beaches four times. 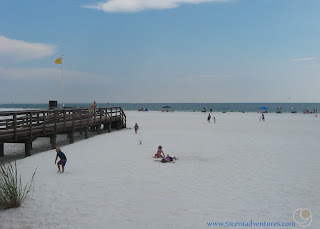 Usually we visit the beaches in Panama City Beach because they are the closest ones. When my husband and I started talking about our plans for Labor Day we decided to go check out the Destin Area. 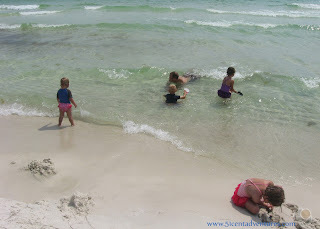 We'd heard that the beaches there were even prettier than the beaches in Panama City Beach. Destin had another thing in it's favor. I'd heard that Destin area had a private beach for members of the military. Usually we just find a public beach and have fun there. However, since this would be Labor Day Weekend I expected there would be quite a few crowds. So I was interested in going to a place where we wouldn't have to fight for a parking space or a spot on the beach. The drive to Destin took a little over two hours. When we arrived at 11:00 the parking lot was about half full. My husband showed his ID and paid the $5.00. Then we were free to enjoy the area. Our first stop was the pavilion. We've learned that it's always easier to eat lunch before getting in the sand. Otherwise the food gets all sandy. The pavilion was very large and shady. It had four areas that were all connected. Two of the areas were reserved (one for a party and one for a wedding.) The rest were available. After our picnic lunch was over I took the kids into the bathroom and changed them into their swimming suits. It was really nice to have a large bathroom to change them in. On other trips I've had to change them in parking lots. My husband and I quickly changed as well. and then we all put on sunblock. Finally it was time to enjoy the beach. The beach was lovely. This area of Florida is known as the Emerald Coast because the water looks almost more green than blue. The water was also really clear. We could see the sand underneath. Many people came to enjoy the beach that day, but it didn't feel crowded. My children loved playing in the water. The water was shallow enough that they all felt safe venturing out into it. We stayed at the beach for 5 hours. At one point we thought a storm was coming our way so we ran up to the pavilion until we were sure it was passing to the east of us. Then we were in the water again. I didn't get a picture of them, but several times we saw dolphins swimming in the water. They were within 100 feet of the shore. At one point I saw three dolphins leap out of the water. Around 4:00 the kids told me they were ready to go. They had played hard all afternoon and were getting pretty tired. My youngest had completely missed her nap, and my son had almost fallen asleep as he sat with me in the water. It's good they were ready to go, because the storm was looking like it was swinging back toward us. We went up to the pavilion and used the outdoor showers up there. Then my husband took our son to get changed while I took the girls. The bathrooms had showers which we used to get the rest of the sand off us us. The showers alone made the $5 fee worth it. About the only downside to the beach was the fact that it didn't have drinking water available. We'd brought water with us, but I would have brought even more if I'd known that there wouldn't be water available at the beach. Other than that the beach was great. 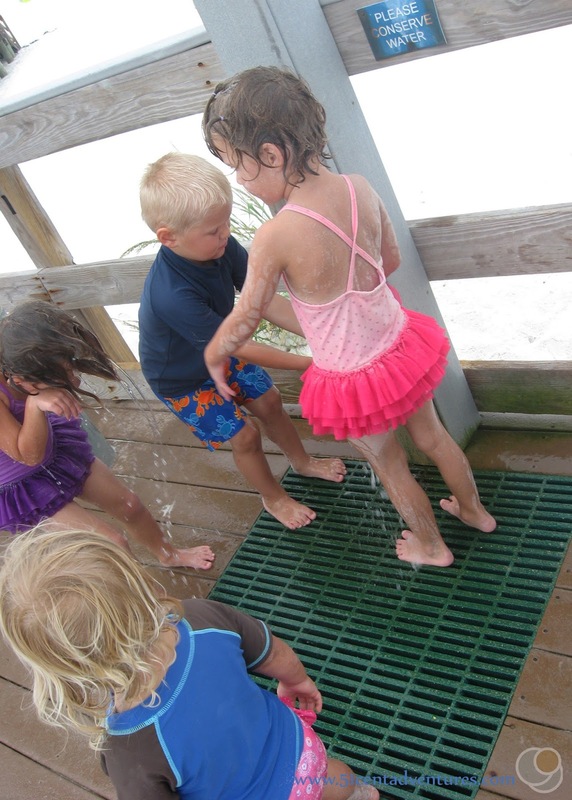 Our kids told us that this was the best time they'd had at the beach yet. I definitely liked the amenities that the beach had to offer. I still prefer Panama City Beach because of it's location to us, but I know that we'll come back to this beach next time we are in Destin. Recommendation: If you are in the Destin area, and have ID to access to this beach then you should definitely plan to go here. The large parking lot insures that you will have somewhere to park your car even on busy weekends. The pavilion will give you a shady and sand free place to eat and relax. And the bathrooms will give you access to running water - including showers. This is a great place to spend the day. Directions: Eglin Beach Park located on Okaloosa Island in Destin, Florida. It is just west of the Destin Bridge and south of US 98. The little road to the parking lot is the first left turn after you cross the bridge if you are travelling west. Or the last right turn before the bridge if you are travelling east. Additional Information: The emerald color of the water comes from the sun reflecting off of algae in the water. Read more about that at DestinGetaways.com. 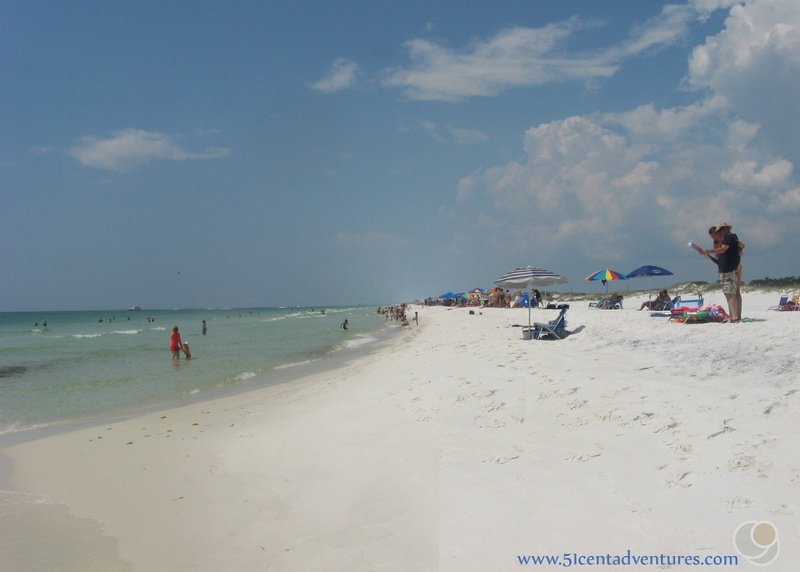 Places Nearby: Eglin Beach is named after Eglin Airforce Base which is north of Destin. There are lots of aircraft on display at the Airforce Armament Museum. The museum is located at 100 Museum Drive on Eglin Air Force Base in Florida. The museum is free and you do not need ID to access that part of the Air Force Base.